But maybe this old classic has more depth then one’s first consideration would have it. As I sit here studying yoga scriptures and preparing to write something all “soulful,” this nursery rhyme has got me like: WHOA. Every single word in this little diddy is placed perfectly, with shining significance and purposeful intention. Let’s break it down, shall we? So you’re on a boat…but notice that it’s specifically ‘your’ boat, you are not sharing the boat, renting the boat, or leasing the boat….it’s YOUR boat. So now you’ve got this vessel, and let’s say we compare this with your physical body vessel. So you’ve got this vessel now, and clearly you’ve got to row because you are reminded 3x to do so! So you row, row, and row your boat. And maybe this emphasis on rowing is to remind you that: no one is going to row your boat for you, there’s no motor, no mention of a sail, or a deckhand. YOU alone have to row your boat. 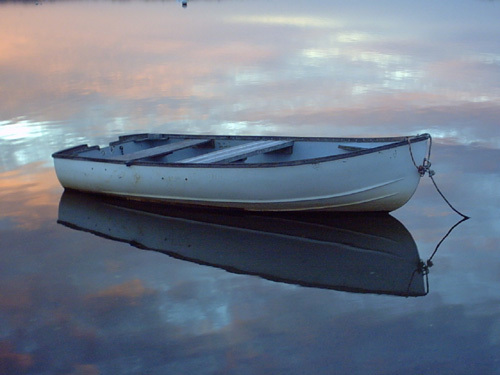 Now this rowing might be tough at first because you don’t know how, or your muscles are weak and you are out of practice, or you have your boat facing upstream……but just one word later and you are reminded to row ‘GENTLY DOWN’ the stream. If you row too forceful and fast you will tire easily and miss all the scenery! If you row UP stream, you will tire easily and never change the scenery! Well all be damned, here we are, taking it all so serious. Seriously, look around at all of our seriousness, how serious we make EVERYTHING…..from our yoga practice to our social media to our salad dressing, this is of course not to mention, our jobs, relationships, children, and money! What if it’s all just a dream? A very ‘real’ dream of course, but aren’t they all? What if we were all just going to die anyway, oh yeah…….WE ARE!!! What if we all just started taking responsibility for our own boats? What if we all rowed our boats in the same direction, and if some poor boat got mixed up and turned around, then we would gently help them get turned back around. What if we were mindful of all the other boats on the stream and no one’s boat was more important than anyone else’s boat? What if we merrily chatted with the other boaters on the stream? What if we didn’t attach our boat with anyone else’s boat and think that we should be one boat? What if we didn’t get jealous of anyone else’s boat because we all have our own boat? So pick up your oars my friends, paddle them with care, and remind yourself, four times a day: to merrily, enjoy this dream.